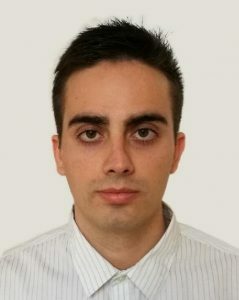 Emilio Ruiz received his BSc degree in Physics from University of Valencia, Spain, in 2016 and his MSc degree in Mechatronics from Polytechnic University of Valencia, Spain, in 2018 with their respective theses titled ‘Quantum key distribution’ and ‘Design of invariant controllers using differential algebra’. Currently, he is pursuing a PhD Programme at University of Agder, within the WISENET Lab, as part of the SFI activity WP6.3 “Coordinated Multi-variable data acquisition and intelligent data reduction”. His research interests are statistical learning and data compression.